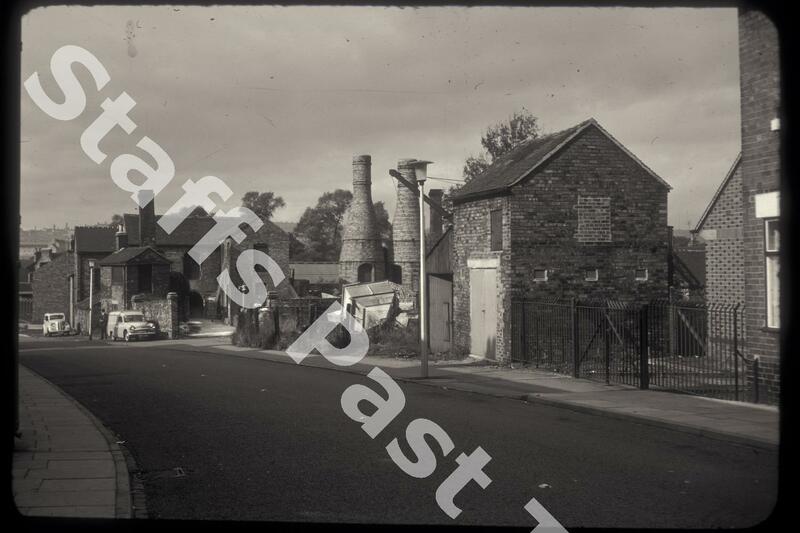 Description:George Edwards' Flint Mill on Ruxley Road. Also known as Bucknall Flint Mill it stands on the old mill stream or race taken off the River Trent near Finney Gardens. Ground bone and flint revolutionised the ceramics industry. In the early 18th Century, water powered corn mills were converted and new water mills were built as wind could not supply the continuous power needed. Later, steam engines became more powerful and reliable. Calcined flint & bone is mixed with water and ground in pans using large millstones. 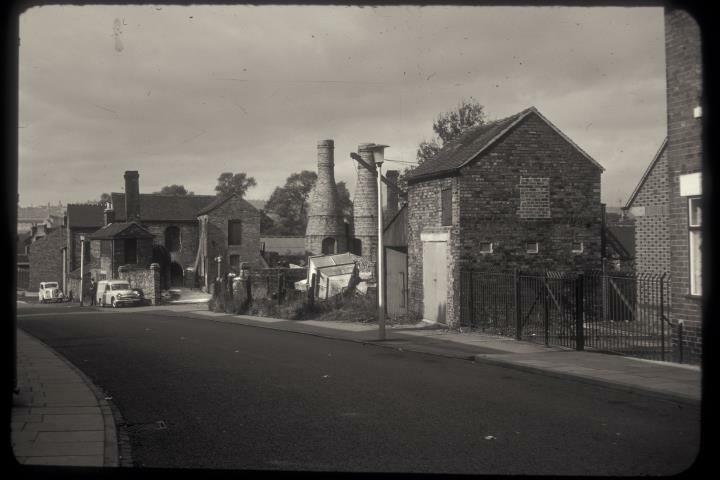 In the photograph, the yard is in the foreground with a pair of calcining kilns behind. The old water wheel was housed at the back of the larger buildings. All these buildings have been demolished.